Smart Guide Publications Inc., 9781937636265, 342pp. 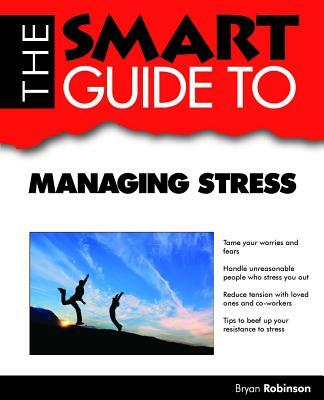 Practical tips and exercises on the nature of stress and what individuals can do to minimize it, manage rest, and live healthy, productive, and stress-free lives are the hallmarks of this engaging manual. The quizzes, action-oriented exercises, real-life anecdotes, and stress research and statistics offered in the book help readers identify the stressors in their lives, take and reduce their stress temperature, relieve work stress, and power down and relax with deep breathing, mindfulness meditation, progressive muscle relaxation, and yoga. This multifaceted guide also discusses how to master negative self-talk, beef up one's resistance to stress, reengineer the brain to remain cool under pressure, and become a master rather than a slave of electronic devices. Bryan Robinson is professor emeritus at the University of North Carolina Charlotte, a psychotherapist in private practice, and the author of 35 nonfiction books on the topics of stress, self-esteem, self-confidence, and high-performing families, including "Chained to the Desk." His work has won awards from the American Counseling Association; he has contributed to newspapers and publications such as the "Chicago Tribune," " Fast Company," "Forbes," "Marie Claire," "Men s Journal," the "New York Times," "USA Today," and the "Wall Street Journal"; and he has appeared on television programs such as "20/20," the "CBS Early Show," "Good Morning America," and "NBC Nightly News." He lives in Santa Monica, California."